we were self catering, however the apartment had basic needs already in place ie tea coffee water washing up liquid and many other things. Location for us was very good with the beach pub eating places and shops all close by but nothing interrupted a good nights sleep on very comfortable beds. 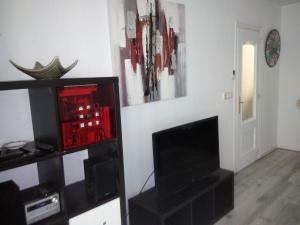 Verry nice owners, good apartment at a nice location! Estancia cómoda y agradable, instalaciones en perfecto estado. Apartamento moderno y con muy buena ubicación. Agradable estancia.Estaba limpio, bien cuidado, bien decorado, cómodo, buenas instalaciones. Ventilador de techo y aire acc. en las habitaciones. Cocina con todo lo necesario, baño igual. Ubicación perfecta. 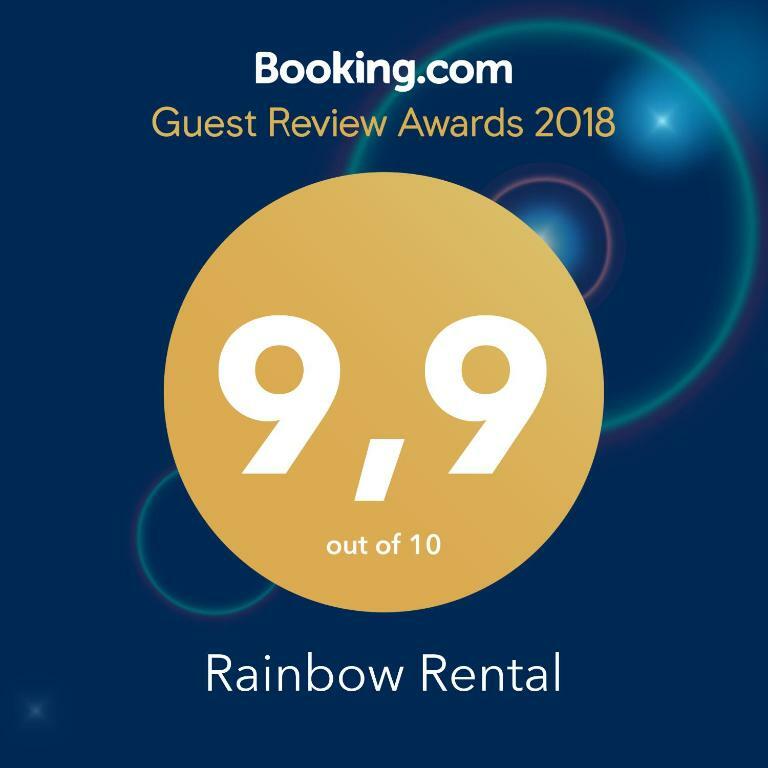 Lock in a great price for Rainbow Rental - rated 9.5 by recent guests. 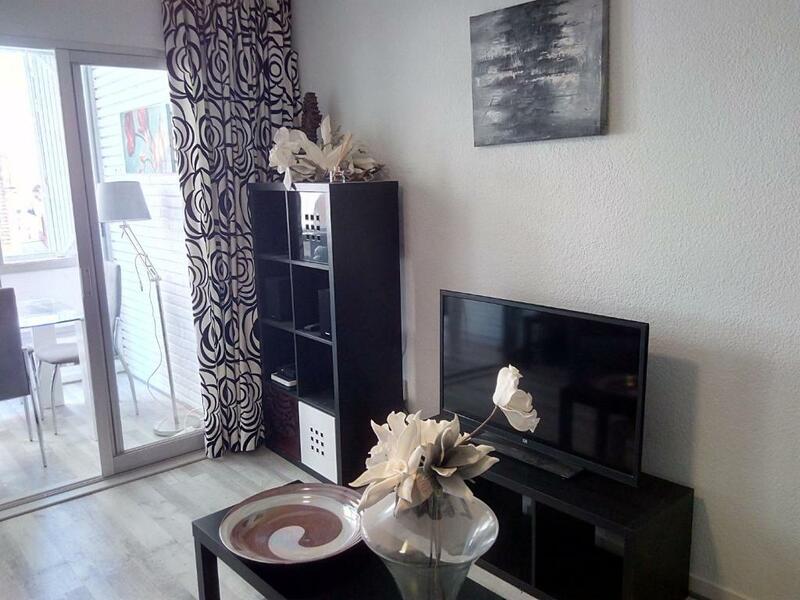 Situated in Benidorm, within 450 yards of Mal Pas Beach, Rainbow Rental offers accommodation with air conditioning. The property is 2.5 miles from Rincon Deloix and 3.1 miles from Terra Natura. Boasting a DVD player, the apartment has a kitchen with an oven, a microwave and a toaster, a living room with a seating area and a dining area, 2 bedrooms, and 1 bathroom with a bath or shower and a bidet. A flat-screen TV is available. Staff at the apartment are available to provide guidance at the 24-hour front desk. Acqua Natura Park is 3.1 miles from Rainbow Rental, while La Cala Beach is 3.1 miles away. 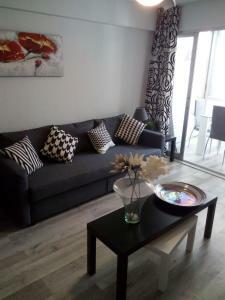 The nearest airport is Alicante Airport, 35.4 miles from the accommodation. This property also has one of the best-rated locations in Benidorm! Guests are happier about it compared to other properties in the area. 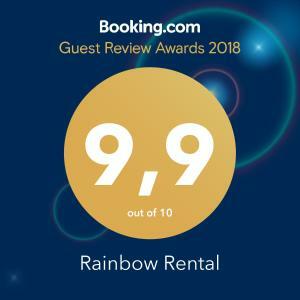 Rainbow Rental has been welcoming Booking.com guests since 25 May 2018. When would you like to stay at Rainbow Rental? Rainbow Rentals accommodation properties are conveniently situated in Benidorm’s Old Town. Only a few minutes walk away from many popular venues, cafes and shops. 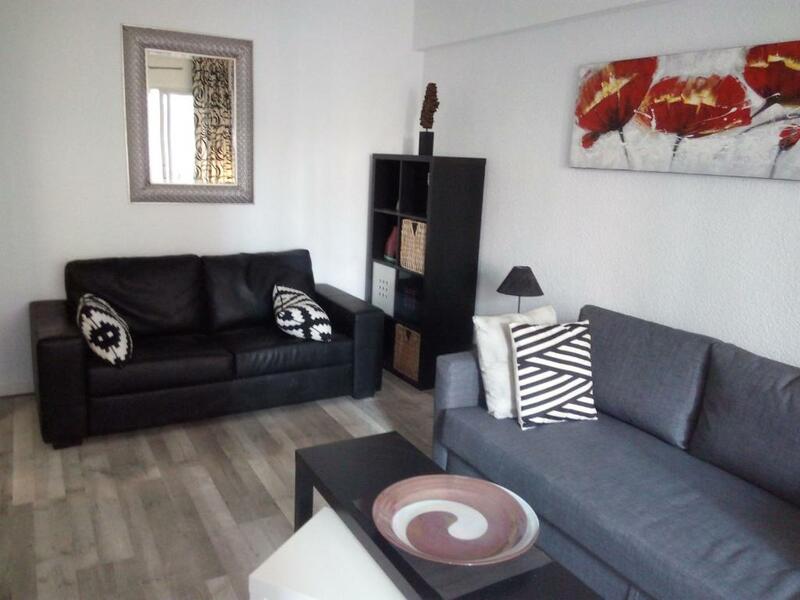 Also only a minutes walk from Poniente Beach. Our aim is to provide you with friendly and discreet guest accommodation which is safe and secure where you can unwind, relax or just enjoy a good night's sleep. Be it business or holiday, Rainbow Rentals is "the" place to stay. ​ All bedrooms are individually styled and furnished, providing a relaxing and comfortable atmosphere for you to enjoy during your stay. There is a fully equipped kitchen with everything you could need for you stay. All linen and towels are included. House rules Rainbow Rental takes special requests - add in the next step! Please inform Rainbow Rental in advance of your expected arrival time. You can use the Special Requests box when booking, or contact the property directly with the contact details provided in your confirmation. Would have been handy to have had a small shampoo/shower gel in the bathroom . minor thing. This property had everything we required during our stay. And was spotlessly clean. Our host Anthony was fantastic, he even came to meet us on our first night when we got lost. Great guy. I would definitely recommend this apartment.